For the past year, I've been tutoring two sisters who are now a 3rd grader and a 4th grader. One of the areas they have both struggled with is their basic math facts - addition and subtraction in particular. They were both required to take timed tests in class and they just fell apart. The older one still struggles with addition and subtraction but has done much better recently. The funny thing about her is she has got her multiplication problems down with no problem and has just kind of skipped over memorizing addition and subtraction. The younger sister is still struggling with addition and subtraction facts and continues to use her fingers to solve problems. I'm worried about what is going to happen this year when multiplication gets thrown into the mix. There are a few different things that I've tried during our brief time together each week. It seemed like the 3rd grader would start to learn the facts when she was doing them by number. So when she was working on "threes" for example, she caught on and could use some of the facts that she already knew but when she got to a timed test that had a variety of problems, she fell apart and didn't know her facts and couldn't use facts she already knew to help herself. So I decided to try a different approach with her and look at different addition strategies. 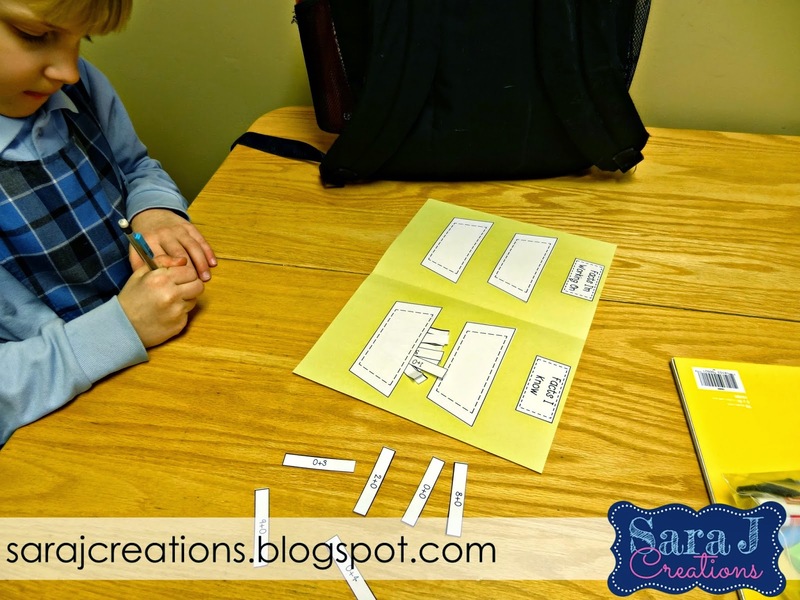 I created some pockets for an interactive notebook activity and each week we worked on one or two of the strategies until she seemed confident with it. First, we cut apart all the facts strips. I presorted them by strategy and only pulled out the ones that we were using for specific strategy. We put the facts in the correct pocket. Once we practiced all the strategies, we sorted the facts into the correct strategy pocket such as doubles, doubles + 1, add 10, add on 1 etc as a way to review. She seemed to do a great job of using the strategy if I was telling her the strategy or she did a bunch of the same type of problems in a row. If we went back to mixed problems, she reverted back to using her fingers. We also practiced sorting the facts by numbers - into pockets for threes, fours, fives, etc. Again, she was okay if we had all the same problems together but mix them up and she didn't trust the strategies. Our next step was to sort by what she knew and what she didn't know. That way we could pull out all the facts she had memorized. We then took the ones she didn't know right away or had to attempt to solve and focused on those and what strategy we could use. She is definitely getting better at her facts but her first instinct is to always start from scratch and count with her fingers from one. I'm continuing to work with her on using a fact she already knows to help her solve the fact she is working on. When we play math games I model my thinking as I solve problems to show her how I add up to ten and then count on sometimes or use a doubles fact and then count on. These different sorts can be found HERE. Something else that I tried in the summer was to create math minute "tests" so they could both practice in tutoring and at home. I could find plenty of practice problems that were by numbers - eights, nines, etc. They both tended to be okay with that but I needed a quick, half sheet of problems that they could complete in a minute that challenged them to use different numbers and different strategies. Because I couldn't find anything like that, I created my own that were addition, subtraction and multiplication. I also included horizontal and vertical problems. On a few of the sheets there are addition and subtraction problems on the same sheet to make sure that they are really paying attention to the symbols. You can find Fluency Practice HERE. 3. Bump but with Big Numbers! Both girls love, love, love the game bump. I try to make sure to end each session with a math game and this is usually when we practice math facts. 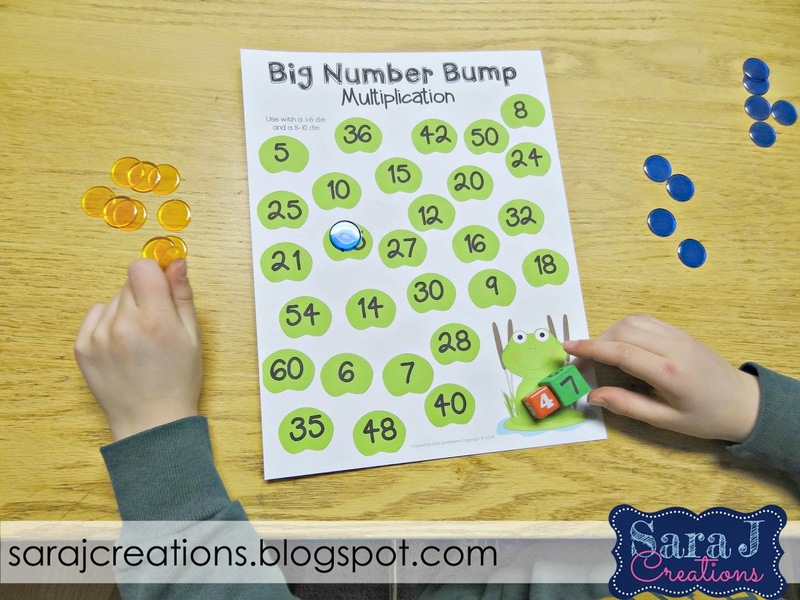 They loved bump but most of the versions I found and printed for them just used 2 dice with numbers 1-6. Those are great but they needed to practice their addition facts with bigger numbers. So I created some bump games for them that used a regular dice and then a 5-10 dice that I made using a foam cube and a Sharpie. I also created some that used two of the bigger number dice (so two 5-10 dice) to really practice those harder facts. 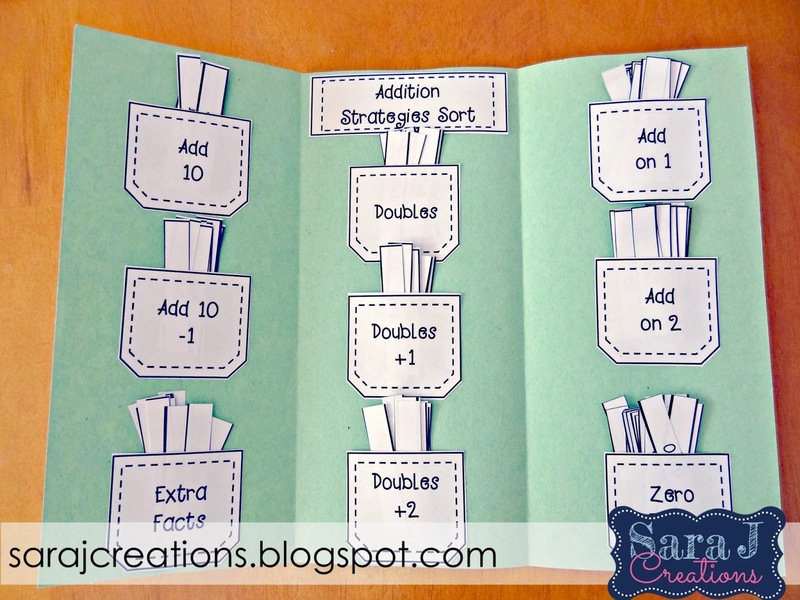 I created addition and multiplication versions. If you haven't played bump before it is super easy. You need 10 bingo chips/marker per person in different colors. Sometimes if we are pressed for time we play with five. First person to get rid of their chips is the winner. Take turns rolling the dice and adding (or multiplying) and covering the answer on the board. If another player has their chip on that space you can BUMP it off and cover it instead. If you get the same answer twice, you can put two chips on that spot and then it is locked and you can't be bumped. Keep going back and forth until someone uses up all their chips. You can find Big Number Bump HERE. Those are the three main things I've done to help the girls with their math facts. They both continue to struggle but mostly the third grader. We continue to work on them as much as possible but so far the new school year has brought more homework, longer spelling word lists and new struggles so we haven't devoted a ton of time to fact practice. 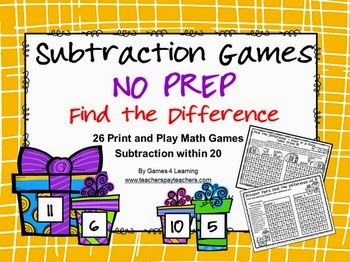 I continue to try to add a math game in at the end of each session if we have time. These are usually an assortment of games that I've found or created. Some of our favorite games comes from Games 4 Learning on TpT. Her stuff is awesome. She has so many freebies that I tried out with the girls and finally bought the subtraction packet. Everything is easy one page printables. Some are board games that I print on cardstock and we use again. We usually need a dice and markers/pieces for each player. She also has a lot of no prep printables that we usually use highlighters for. Each game has slightly different rules but they are always printed on the game. So easy to print off and use in the last few minutes of our session. The girls love to use highlighters to mark off their spaces on the games. Here is my random PSA for the day - Sharpie Gel Highlighters are AMAZING. I randomly brought these to tutoring because I found them in my teaching stuff and had never used them. The girls get so excited to use them. They are like a crayon versus a marker but it still highlights. It is perfect for these games because it doesn't bleed through the paper or smear the ink. So fun to use! I didn't know how long I had had them stored in my basement or if you could still by them but I found them in other colors at Target last year. So that is just one of the many things we've been working on in tutoring. What do you do to teach or review math facts? Anything you've found that has helped your students cement those facts in their heads? I'd love to hear some new ideas that I can add into our tutoring time even though we don't have much time together each week.